eBook ePub, PDF, Daisy, Kindle, etc. 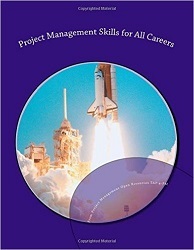 This textbook provides students with project management skills they can apply in any chosen profession. It offers practical, real-world insights for effective project management and guides you through the essentials of the people and project management. Once you go through the tips provided in this book, you will not have to worry about the nature of the project at hand or its magnitude. You will have gained so much courage that no project will intimidate you. The best thing about this book is that it is simple to read, has clear points, and is generally an interesting read. And as you will realize after going through the book, it is not easy to forget the project management tips provided owing to their mode of delivery. Professor Andrew Barron co-authored Project Management for Scientists and Engineers.